When ever I have been through a hard time in life -JESUS- is the one that keeps the smile on my face. He continues to mold me and make me better. I am more loving, caring and kind because of HIS goodness. Do you know Jesus? When I was sixteen years old I asked Jesus to save me. That is when my personal relationship started with him. God only requires that you accept Jesus as your personal Savior. I know I am a sinner and don't deserve Heaven. Please forgive me for my sin, and come into my heart. Thank you for saving my soul! Amen! This post is part of benandme.com 's blogging through the alphabet. 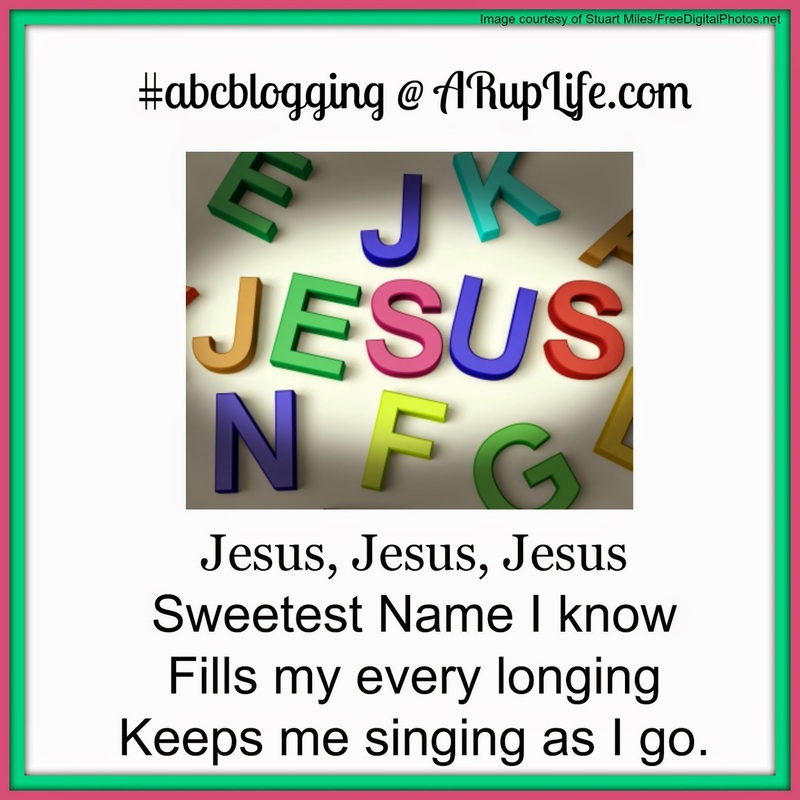 Click on the link below to see what others are blogging about for the letter J! All scripture quoted is King James Version.